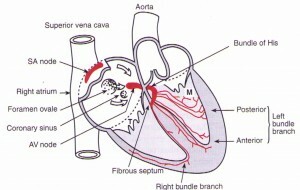 The heart has a natural pacemaker called the sinoatrial node. This is essentially a region of specialized cells responsible for generating impulses that trigger each heart beat. 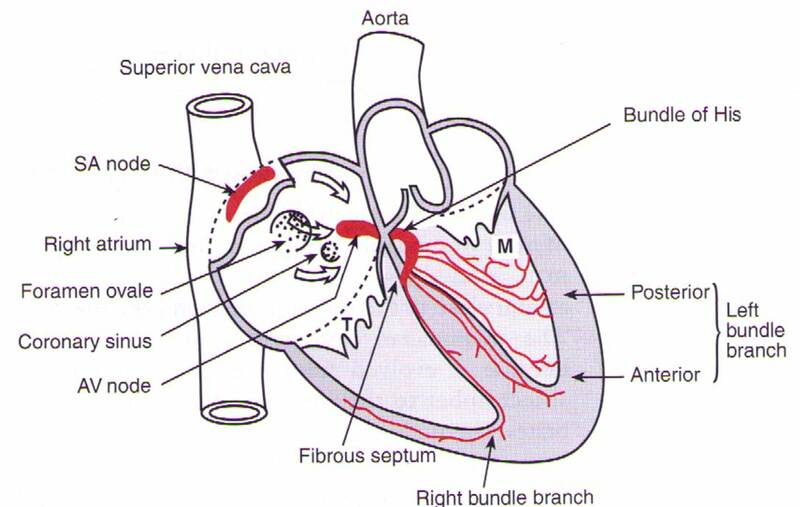 The impulses are conducted away from the SA node to the muscle cells of the heart by a conducting system. 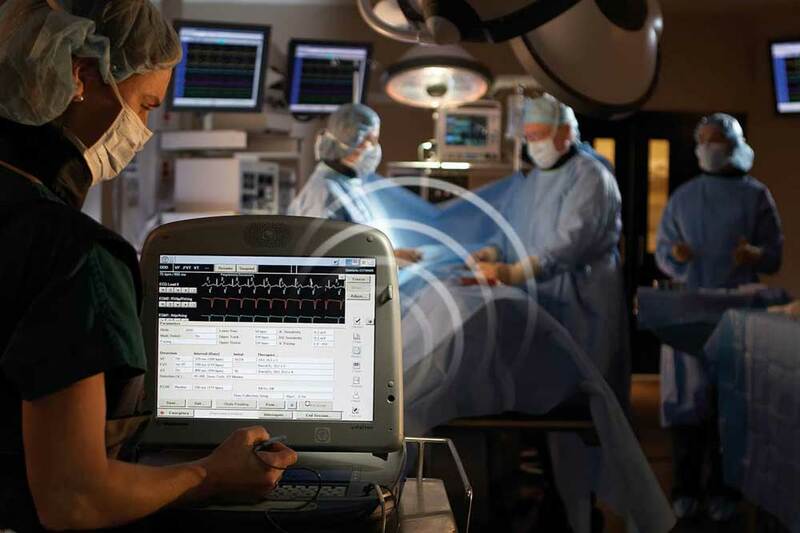 If there is a failure of the SA node to generate impulses or if the conducting system fails , the result is a slowing of the heart beat or even complete failure to beat. This condition is fairly common as patients get older. 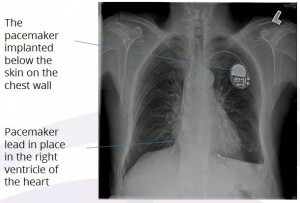 A pacemaker acts to generate these impulses artificially and essentially bypasses the native conducting system of the patient in order to tell the heart when to beat. This can be a life saving therapy! Pacemakers are implanted under local anaesthesia under sedation in a sterile electrophysiology laboratory or an adapted cardiovascular suite. 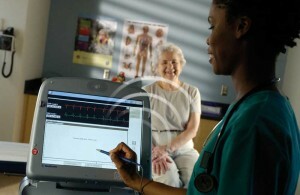 With modern technology the technologist is able to program the pacemaker wirelessly even while the cardiologist is performing the procedure. The pacing leads are advanced through a vein under the collar bone by needle access. This, then, is a minor procedure. The pacing lead is then advanced into the vein and guided into place in the heart under X ray guidance. Pacemaker leads either passively grip the muscle strands in the right ventricle of the heart or are actively screwed into the wall lining. A pacing circuit is either set up between the pacemaker and the tip of the lead in the heart or between two electrodes at the tip of the lead in the heart. This is a more efficient way of pacing the heart. 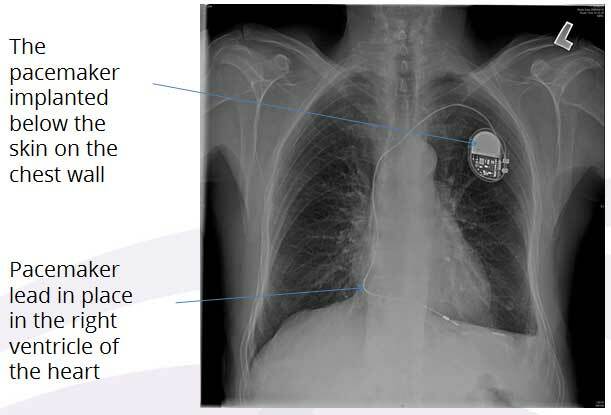 Once a pacemaker or any other cardiac device is implanted, an important component of patient care is the regular follow-up and maintenance of the implant. Afterall it is a piece of sophisticated machinery monitoring and interacting with the heart. 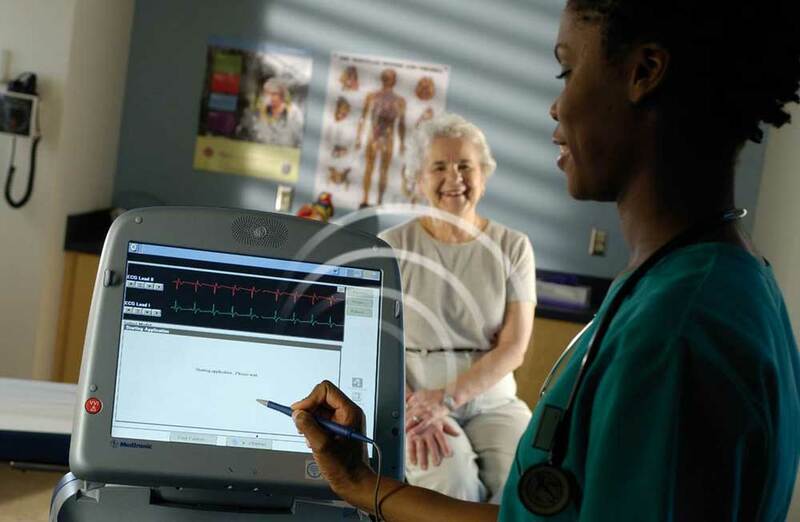 Checkups can be done in the device clinic through wifi connectivity or even remotely using a telephone line or cellular network. This vital role is fulfilled by the electro physiologist as well as a dedicated group of trained technologists and nurses.